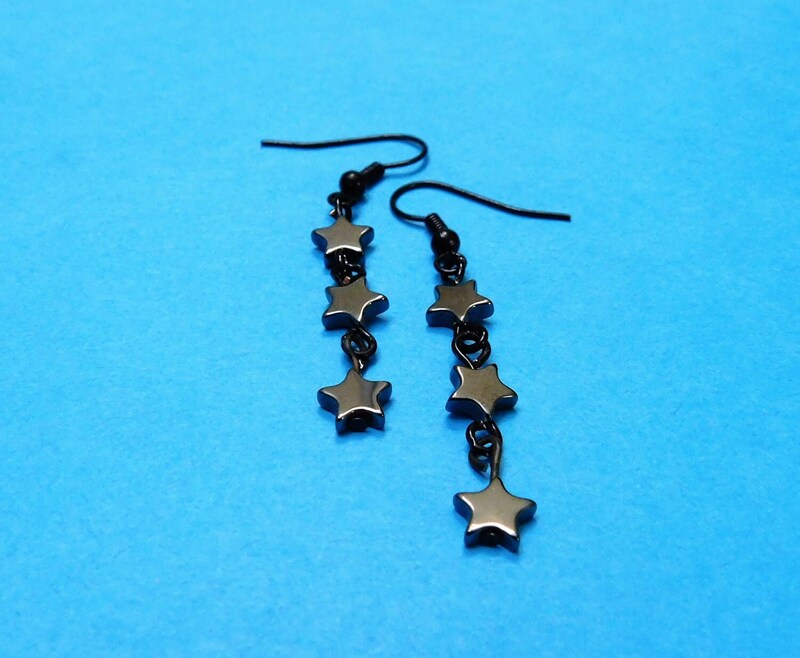 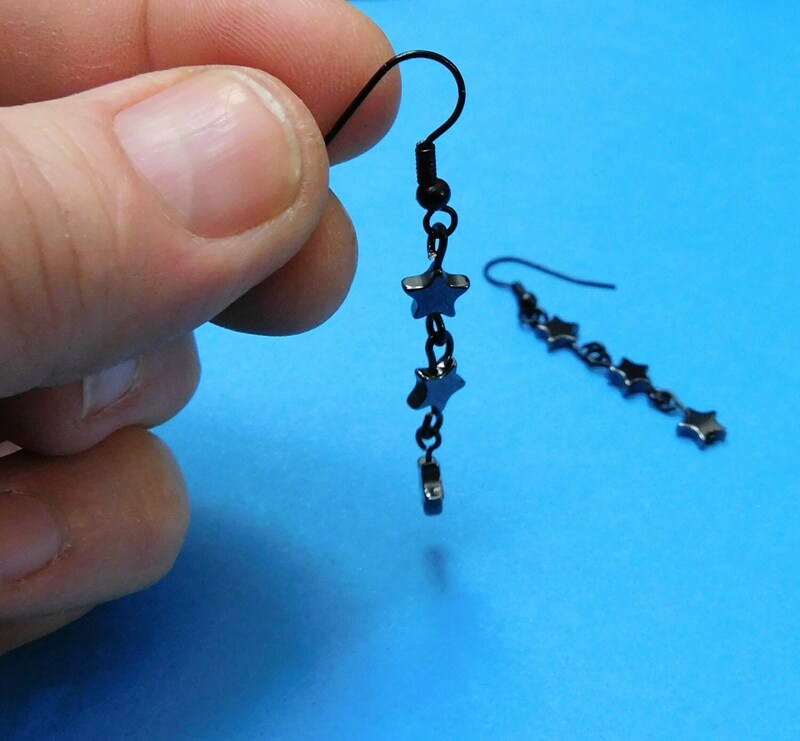 Three tiny Hematite stars fall from black ear wires, creating a cascade of sparkle. 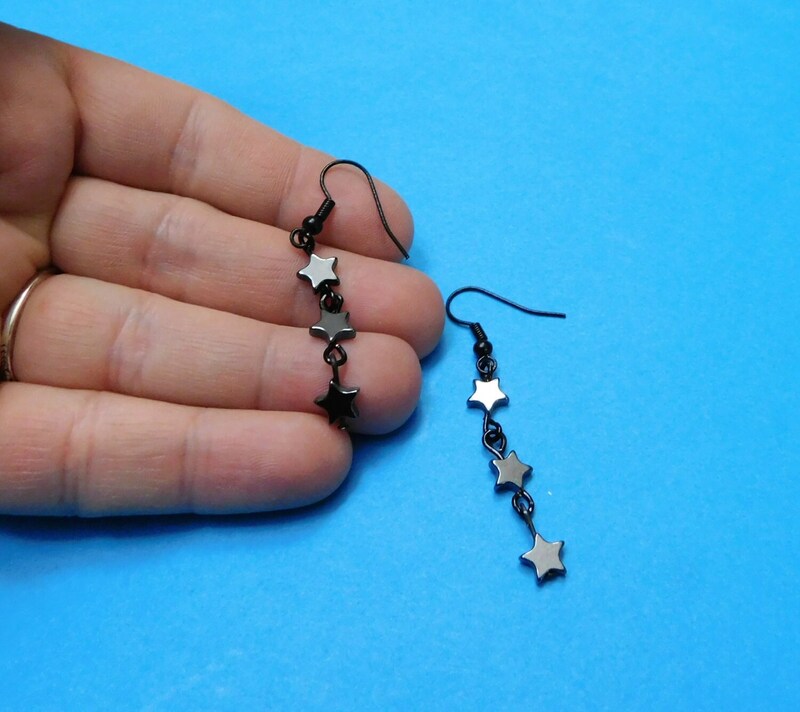 The earrings are 1 1/2 inches from the bottom of the ear wire to the bottom of the last star. 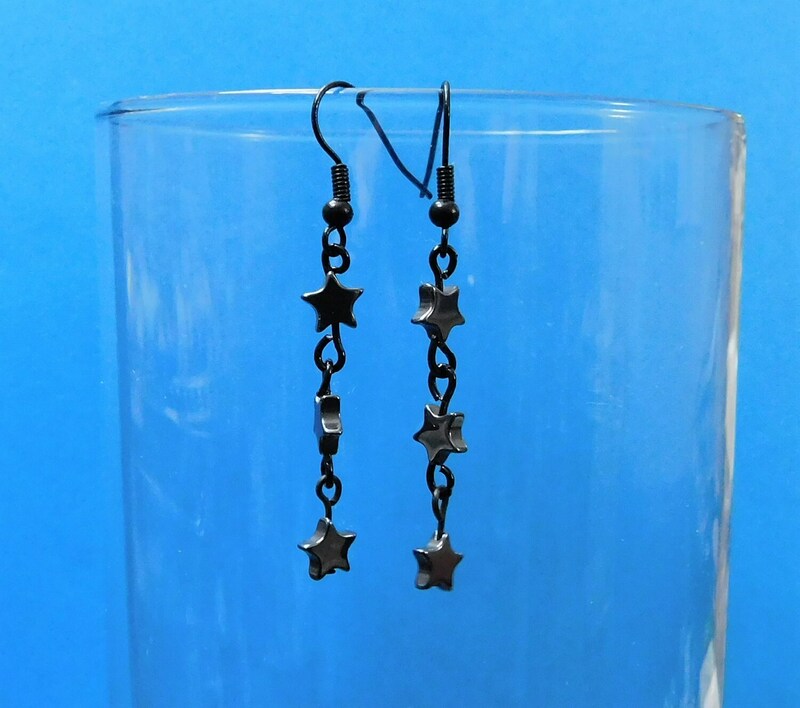 They are simple, light weight, and fun to wear. 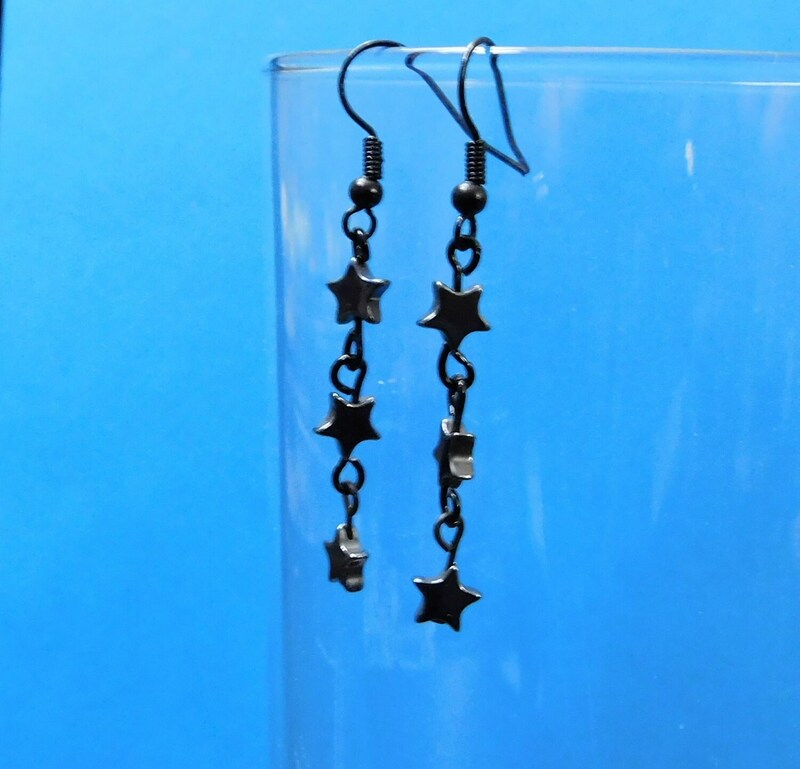 Brighten her universe with these unique handmade earrings.